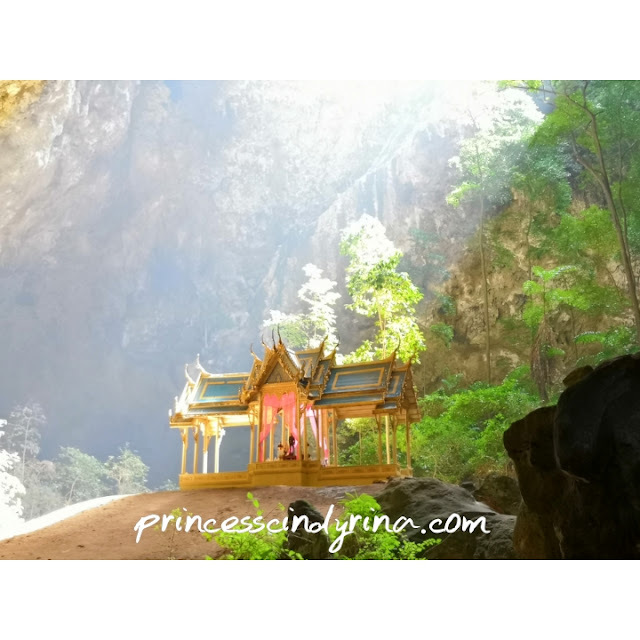 If you read my previous post on Things To Do in HuaHin, Visit Cha Am, HuaHin is not about visiting to Santorini Park or Plearn Wan. 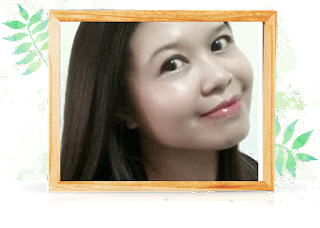 I booked HuaHin Cab for a day to drive 20 kilometres south of HuaHin to Pranburi. 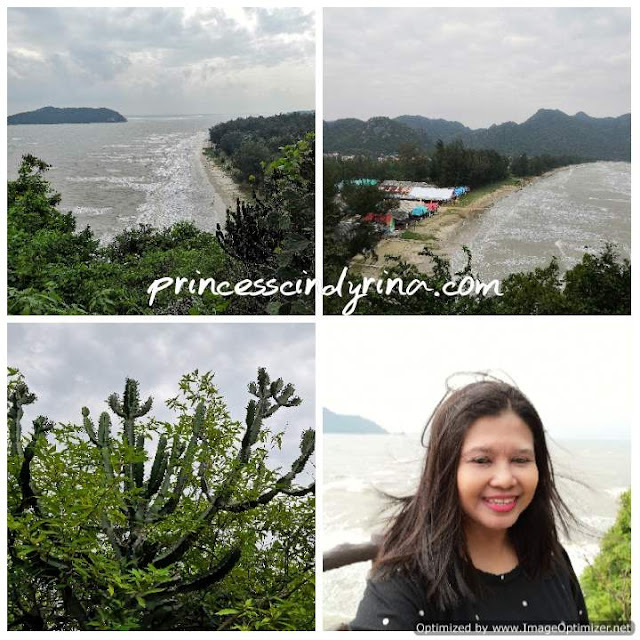 This place is on the western coast of the Gulf of Thailand. The view throughout the journey, I would describe as breathtaking for a person who loves the natural view. I just told the driver to drive me to Khao Sam Roi Yod National Park without knowing exactly what waiting for me. 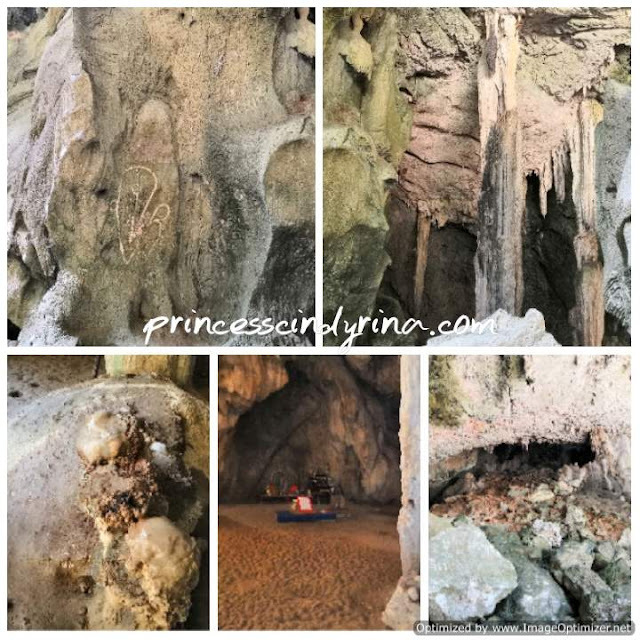 I was thinking to hire a boat ride to the other side of the beach for easier entrance to the mystical Phraya Nakhon Cave. I bet no one can hike up and reach this caves and back within one hour. 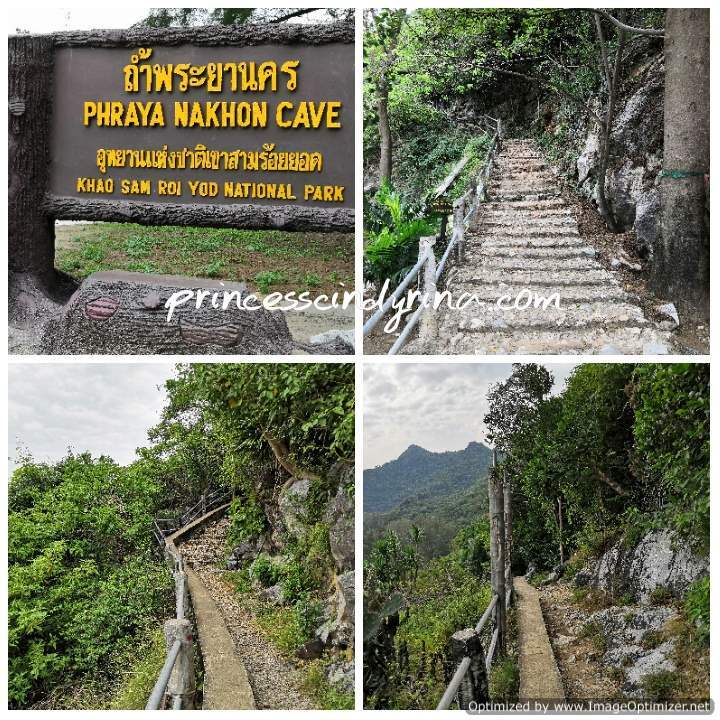 By the way, you need to pay THB200 entrance fee to enter before you start the hike. I was glad to grab myself wooden walking stick left behind by some people and use this as my support. The driver who left me at the entrance told me the caves is only 1km away. WTH! Liar! lol...wanna go crazy when finding out that's not true. It says Khao Sam Roi Yot National Park. It's not like you can expect to walk in the park. I began climbing up the rock steep up the staircase which later on changes to ascent on jagged rocks. Thank God! I climbed with proper sports shoes. Even though its hard all the way up. I can't deny the view on the way up on the first ascent is kind of beautiful and worth the hike. You see me smiling brightly at this photo? Well, at that time I took this selfie, I was having a lunatic thought to just roll down to where I started. Huwaaaaaa..... wanna continue too painful and the thought of to turn back so hurtful too. Almost went crazy up there. After climbing up and down for around 1 km, I was back on the ground zero. Beautiful Leam Sala beach in front of me and Phraya Nakhon Cave seems to be another hike up. At this point, I was having a mixed feeling. Ceh...thought the cave is somewhere nearby? Not here yet? 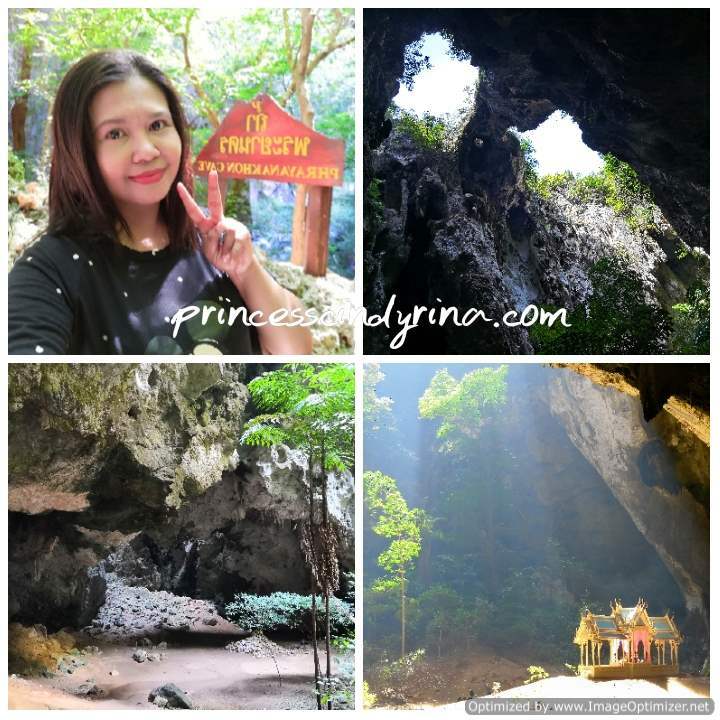 Omooo..I thought the journey to that cave not so difficult like just now. Look at my face full of a sarcastic beautiful smile with the thought...just look at what waiting behind me. It's all rock all the way up. Holly Molly!!!! What did I just get myself into now??? My trekking stick totally helps me a lot at this time. I don't think can manage to hike up this place without this. Its another 430 meters climb yo! The thought to hike down is another horror feeling for me. The climbing course towards the caves is full of rocks and forest. Before entering the cave area, I have to walk down to the most difficult steep descent. I saw some harden waterfall and a dead bridge which is the remaining overarching rocks. I feel like 'Lara Croft' from Tomb Rider when entering this area. The whole place makes you feel like one of the characters in mystical Indian Jones. I witness the sunlight streaming down through the openings in the rocks which make this place an awesome view. I walk through another dark tunnel before witnessed this beautiful Kuha Karuhas Pavillion builts for the visit of King Chulalongkorn in 1890. I have seen a lot of older historic sites, to me, this is a special site because it was so naturally beautifully illuminated by the sunrays. It really worth every minute of the toughest climb and descents into this cave. You will see signatures of the Kings on the cave wall. The caves were super amazing and the journey climb up and down to the entrance to meet my driver is another experience which I will never forget. Its tough climb for me but the experience and finding its worth the hike and pain. I rent the whole boat for THB600. If you are in the group it will be cheaper to split the cost. 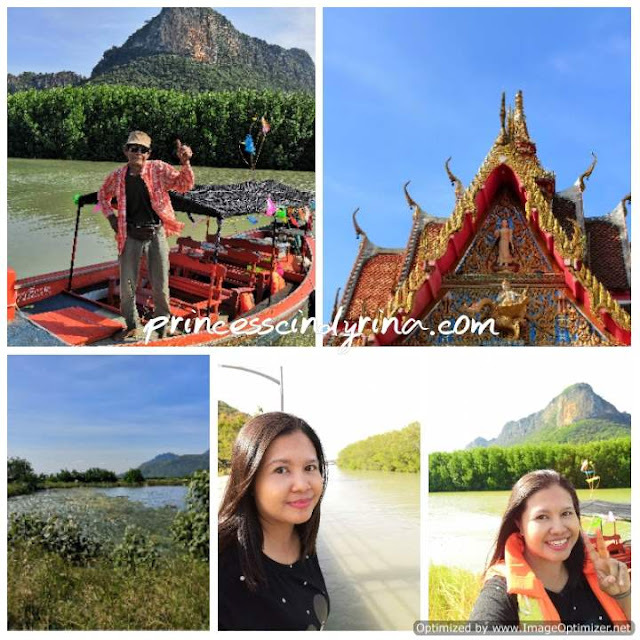 It was a pleasant afternoon cruise going in a semi-loop around Khao Daeng and the view of mangrove forest and striking rock formations. 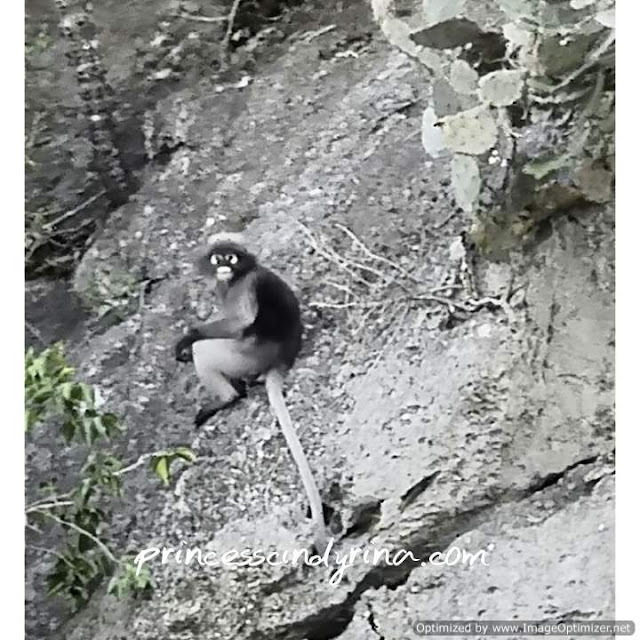 I noticed a dusky Langur during this boat trip. The driver told me I could have faced a close encounter with Dusky Langur during my hike to the caves. Well, I did during my hike down but they were really shy and hiding so unable to snap a photo. 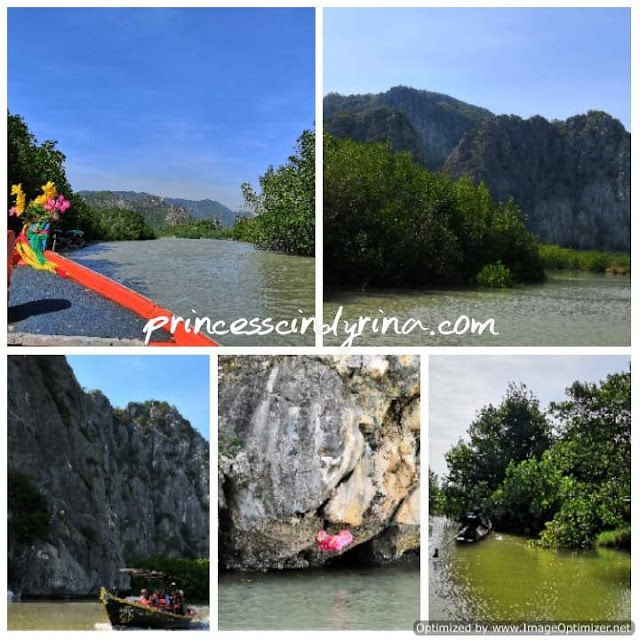 During the mangrove tour, the boatman pointed out a rock formation crocodile look alike. I failed to understand him. kakakaka...he was pointing out to me vigorously while talking in Thai. Hell.... how would I understand what you trying to say Ajussi!!! I only know when I told that to my driver. Damn! I miss it! On the way back the boatman stops in the middle and ask me to step out the boat. I thought he wants to ditch me in the middle of the canal. I refused. hahaha... he kept insisting me to get out. I did at the end as he said with the thought what to do if he really ditches me and I encounter a hungry crocodile. uwaaaaaa...IMA doesn't want to be fed to a crocodile. So suffering to die like this. I step out the pretend to understand him to snap a photo of the surrounding view. He keeps talking to me in Thai and pointing out the hill behind me. Keep asking for my phone. What so special about this rock hill??? Not so beautiful to my eyes. Why would I want to take a photo with that background? End of my Pranburi exploration. 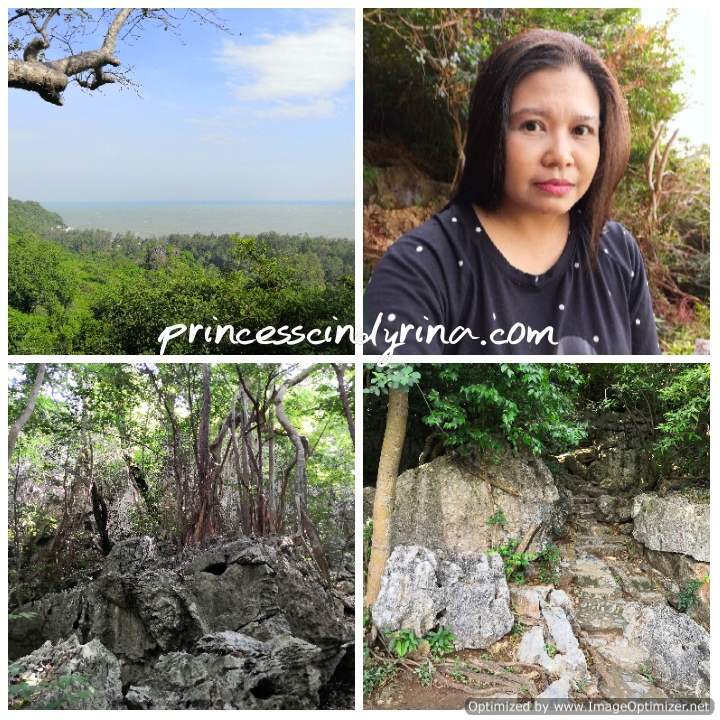 Wah..very amazing and adventure journey to Huahin. The view there were awesome and spectacular. Wish to go there someday. Ah so interesting even you been experiencing worst time lucky it's kinda worth the view in the end. I need to keep it mind for the hidden charges too, everytime go Thai always got hidden charges everywhere. Wah menariknya kali ni baca entry travel sambil menikmati alam sekitar dan adventures.. Selalu tgk pasal review hotel je.. Hehe.. Suka tgok suasana mcmni sbb dpt menikmati alam semulajadi di tmpt org..
Nice view... dream nak visit and travel ke sana juga... dapat explore tempat orang memang sangat best.. dapat mengenali budaya mereka juga. The end of story sangat kelakar sis. Hahahhaa susah juga kalau orang tak faham apa yang kita cakap like kita pun tak berapa faham bahasa dia kan? By the way....... 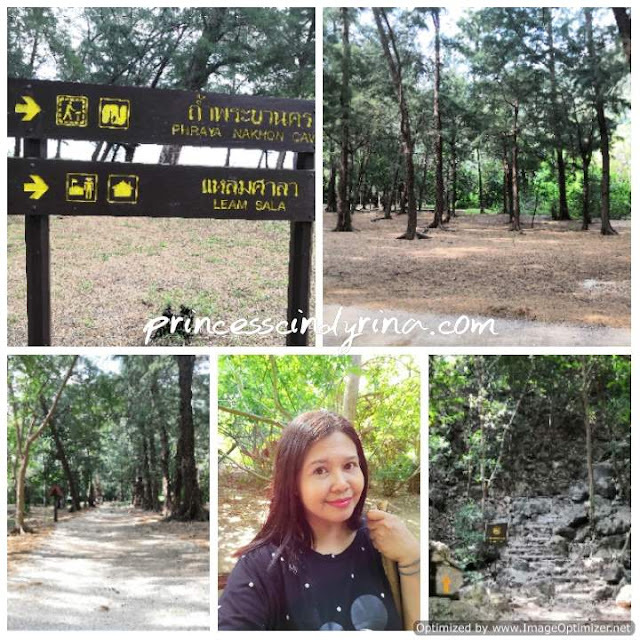 I'm so impress dengan suasana bukit-bukit berbatu tu. Thanks sharing . Wow...it must have been really breathtaking right? I guess it is worth all the sweat as the scenery is really beautiful. The temple looks majestic amidst the sunlight. More pictures please. Interesting write-up. Looks like I want to visit HuaHin too. woww..sonice tengok view you ambil dekat thailand ni..rasanya tak pernah tengok lagi tempat mcm ni dekat gambr kawan-kawan..nice gielr ok..rasa nak bercuti ke sana je..gua tu menakjubkan..